Venice’s “Bridge of Sighs,” built in 1602, connected the city’s prisons to the interrogation rooms in the Doge’s Palace. 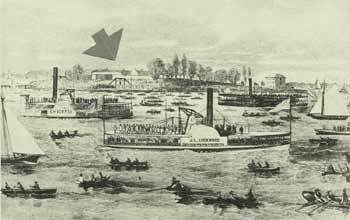 The name comes from a Byron poem suggesting that condemned prisoners walking back over the bridge would view Venice and then sigh before being locked up for years—or executed. New York had its own Bridge of Sighs. It linked the criminal court building and the infamous Tombs prison bounded by Centre, Franklin, Elm (Lafayette), and Leonard Streets. The inspiration for the name is the same. “The span was called ‘the Bridge of Sighs’ because condemned prisoners passed over it on the way to their deaths,” explains correctionhistory.org. “The gallows were set up in the courtyard near the Bridge of Sighs and taken down immediately afterwards. 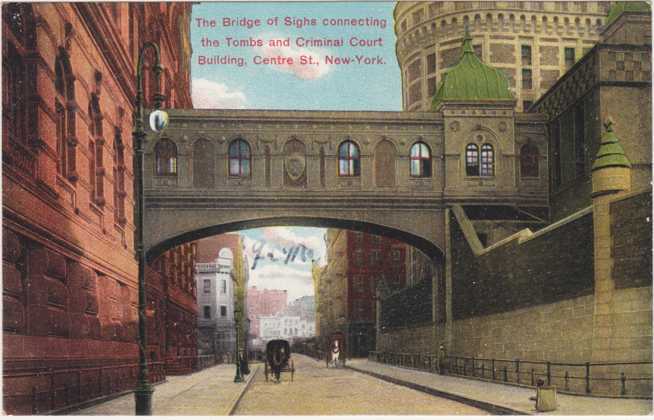 The postcard above shows the Bridge of Sighs connecting the criminal court building on the left with the new Tombs built in 1902 on the right. 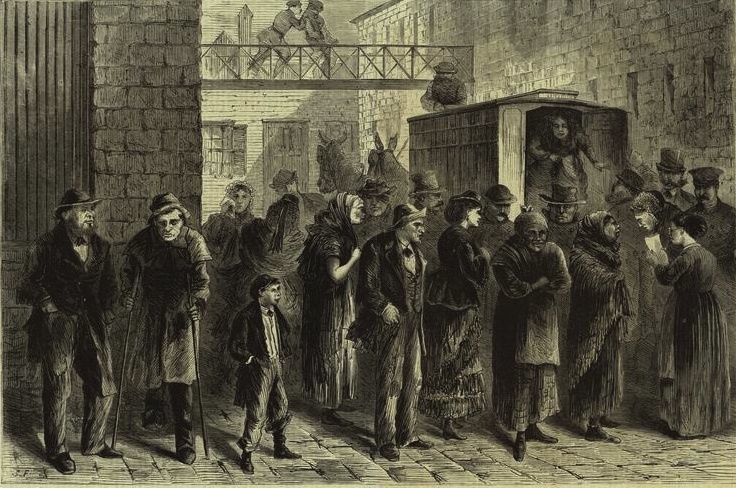 Based on what correctionhistory.org says about gallows in the prison yard, plus the fact that the last hanging at the Tombs took place in the 19th century, there must have been a previous Bridge of Sighs connecting the first Tombs, constructed in 1838. Perhaps this is it, in an illustration from the NYPL Digital Collection.